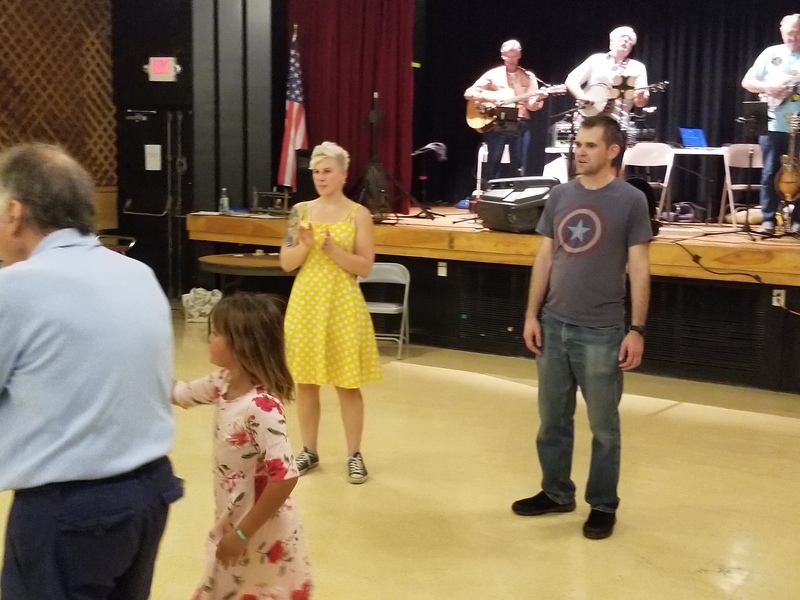 We completed our move to our new home at the Las Vegas Fraternal Order of Eagles (FOE), a national philanthropic organization with kind hearts and a large dance floor with a stage for our live performing bands. 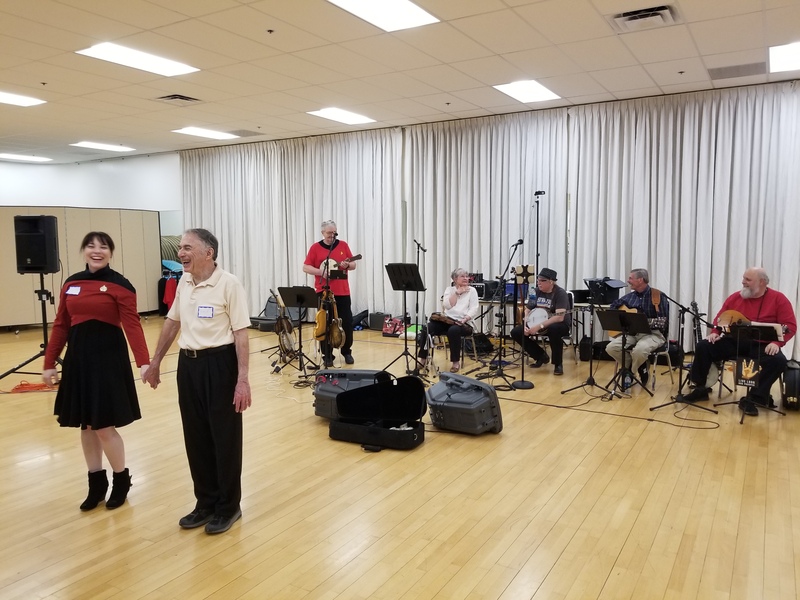 ‘Live Long & Prosper’ was our Contra Dance theme in April 2018. You can see we beamed up a Starfleet band (AKA Sagebrush and Shamrocks) and had the privilege of a Starship officer on deck! 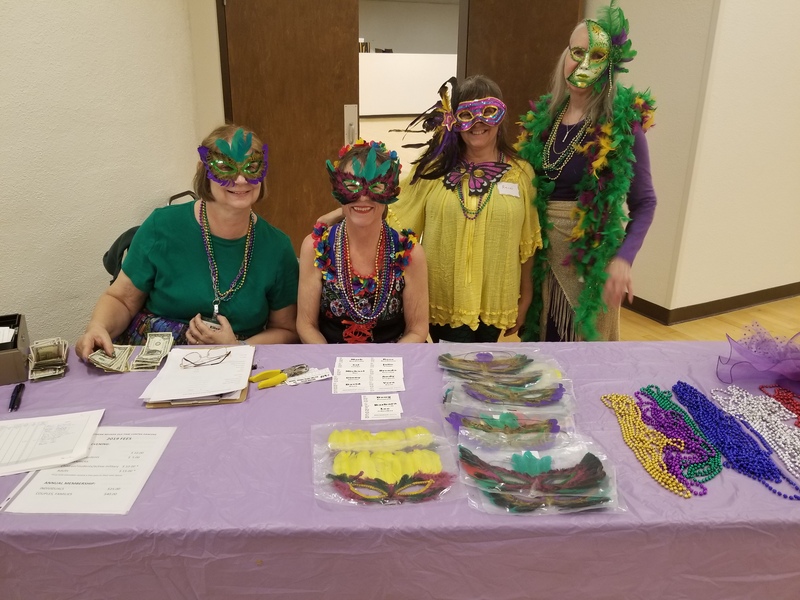 Our 2019 early March dancers were greeted by our Mardi Gras welcoming committee, also serving as your SNOCD board. From left to right, Eileen, Minda, Renee, & Carol.